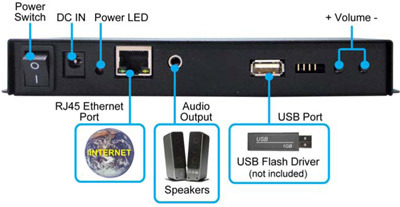 The Eyezone Audio Server is a network audio player for playing background music, advertisements, promotional messages and announcements on SD card or USB flash driver in your store. You can easily upload content, playback control and schedule a playlist via the web page of the Eyezone Audio Server. This powerful network audio player will allow you to immediately convey the message to your customers and encourage your customers to stay longer and buy more. The audio player is easy to configure and can be accessed via the internet or intranet to make updates to the playlist or property changes to the media player. The audio player can stopped and started remotely and specific audio files can be selected individually as an option. 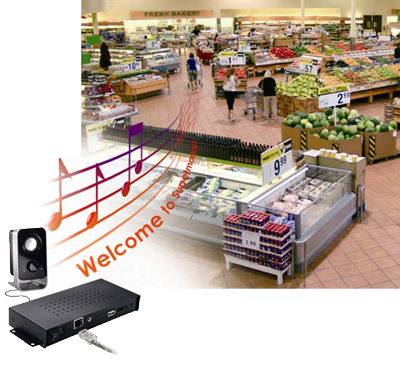 The audio player is the ideal solution for controlling your music requirements in shops, clubs and many other environments. Supports SD(HC) memory card and USB flash driver. Supports one audio output for connecting to your speakers. Network: RJ-45 10/100 Mbps Ethernet port. 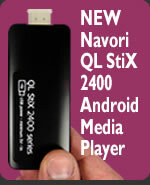 Supports Upload Contents, Playback Control and Schedule Playlists functions via the web page. Upload Content: Upload the latest audio files (such as background music, advertisements, promotional messages or announcements through a network. Playback Control: Directly control the audio file playback (play/ pause/ stop) via the web page of the Audio Server. Schedule Playlists: Set the files to play in and ordered list.